A few too many hours reading this weekend (the best) and a few too many glasses of wine last night (the worst) have me rubbing my aching head this morning and waiting for this coffee to kick in. The grey, rainy weather is the perfect match for my just-let-me-snuggle-in-my-sweatpants mood. 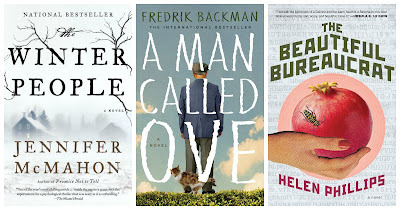 This past weekend saw the coming and going of the July 2015 24-in-48 readathon. Though I didn't hit 24 full hours of reading, I did power through several books for upcoming deadlines, so I feel like I'm going into this week with a bit of a clean slate. I'm falling hard for The Winter People by Jennifer McMahon on audio--it's perfectly paced and just a wee bit creepy, which is exactly how I like my suspense to read (or listen). 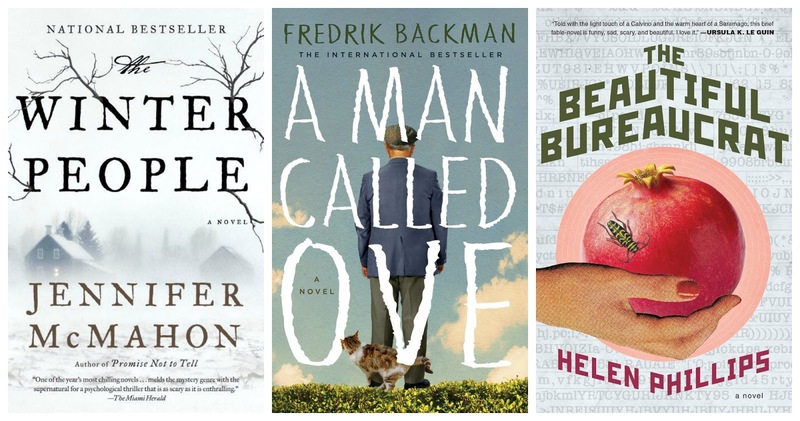 I'm also loving A Man Called Ove, which is quirky and strange and so far lovely; I'll be finishing that this week for a Curious Iguana book club meeting next weekend. And because I didn't get to it this weekend, I'm also planning to pick up The Beautiful Bureaucrat this week, hoping the slim volume will prove a palate-cleanser after my binge reading of late. Though I didn't hit 24 full hours of reading (and super congrats to those who did! ), I did finish most of my stack and am 100% pleased with my reading. Stay tuned for coherent thoughts on The Automobile Club of Egypt (dozens of characters in a club in Egypt that proves a microcosm for the political issues in the country--very good), Zeroes by Chuck Wendig (a group of hackers may or may not be hacking on behalf of or into the United States government; pace-wise, this reminded me of The Word Exchange or Lexicon, but with a dose of heavy-hitting technological know-how that reminded me of... well, of Chuck Wendig), and Summer Sisters for the #BlumeALong (spoilers: I loved this book). I also finished the last hour (finally!) of Drums of Autumn, and will be taking a little Outlander break for a bit and read ~150 pages of Waiting for Snow in Havana, which, despite winning numerous awards, is really not working for me. How was everyone's reading weekend? 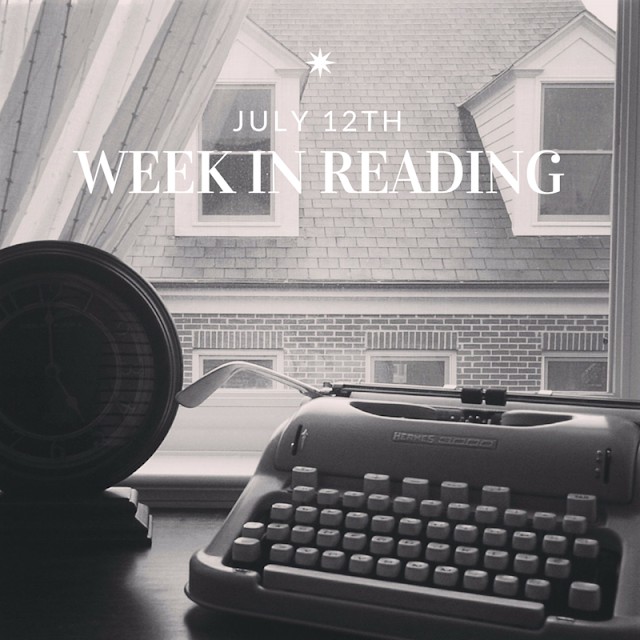 What are you looking forward to reading this week? I'll just be happy to read something this week! Gah, a book hangover and hangover hangover sounds like a wicked combo. It was a great weekend, though, and it looks like you got through a ton of great books! I finished The Martian this weekend and loved it. I just started Summer Sisters but I haven't quite gotten into it yet. Can't wait to hear wait you think of Beautiful Bureaucrat! And - as a palate cleanser...could work in the "so different from anything else" category of palate cleansers! Ooh, so excited for you to read The Beautiful Bureaucrat!